Partner of Carey and co-head of the Construction and Engineering Group and head of the Real Estate Group. His practice focuses on the advice of domestic and foreign clients on infrastructure projects, engineering and construction, mining and energy facilities, EPC, EPCM, BoP, BOT, O&M contracts, claim management, administration of projects, real estate development, land development and related legal issues. Codelco on the preparation of a BOT contract and bidding documents for a desalinated water supply project. Sierra Gorda on the preparation of operation phase contracts including services, procurement and construction contracts. Latin American Power on the preparation and negotiation of a S&I and a BoP contract for the development of a 184MW wind farm in Chile. Banco Security and Banco Consorcio regarding the financing of the Uribe Solar project, a photovoltaic power plant of approx. 50MW. The project will inject power to the Norte Grande Interconnected System, owned by Fotovoltaica Norte Grande 5, Chilean subsidiary of Gestamp Renewables, a leading European energy Company with worldwide operations, for USD102 million. An international consortium on the negotiation of a highway construction contract under a public concession. A national shipyard company on rebuilding its port facilities after the earthquake of 2010. A major international retailer on negotiating their long term lease contracts in Chile. An important energy company on the development of several energy projects in Chile, including the preparation and negotiation of all related contracts (EPC, BoP, TSA, etc. ), project administration and dispute resolution. A global contractor on the preparation and negotiation of EPC, EPCM, POs, contract administration, claim management and dispute resolution for a mining project in the north of Chile. A mining company on the preparation and negotiation of all contracts related to the construction of a new mine in the north of Chile, including contract administration, claim management and dispute resolution. Recognized in Construction Law, Who’s Who Legal. Recognized in Projects and Real Estate, Chambers Latin America. Recognized in Construction and Real Estate Law, Best Lawyers. Recognized in Project Development, IFLR1000. Recognized in Real Estate, The Legal 500. Professor of the Course on Specialization in Construction Law, Law School, Universidad de Los Andes (2015-2016). Professor of Law, Business School, Universidad de Chile (2011-2012). Former Project Manager in important real estate developing and consulting companies. 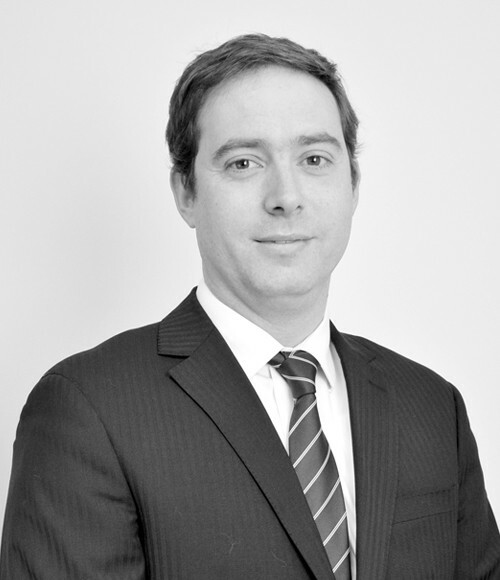 Member of the Chilean Society of Construction Law. Co-author of the Chilean chapter of Construction and Projects Q&As Global Guide, Thomson Reuters (2018/2019). LL.M., Northwestern University, Chicago (2009). Certificate in Business Administration, Kellogg School of Management, Northwestern University, Chicago (2009).